Former Boeing Project Manager and 40-year Aerospace Industry veteran Gerald A. Blackburn and special guest, Apollo Manager and Engineer Dino Toigo, discuss the Apollo Program, North American Aviation, and their experiences in the Aerospace Industry. Doors open at 9:30am. Program 10am – 11am. In celebration of the 50th Anniversary of the Apollo 11 Moon landing, the Columbia Memorial Space Center is celebrating with a menu of events throughout the year! 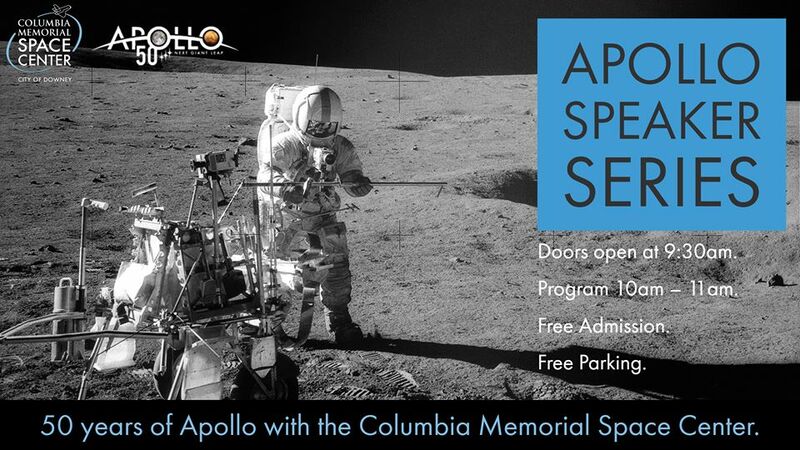 The Apollo Speaker Series invites you to listen and participate in talks with featured guests from the Apollo era. Talks are moderated by former Boeing Project Manager and 40-year Aerospace Industry veteran, Gerald A. Blackburn.